If you’ve been around the North Fork Valley at all this year, you have probably heard the phrase “gift economy” or “gift circles” more than a few times. 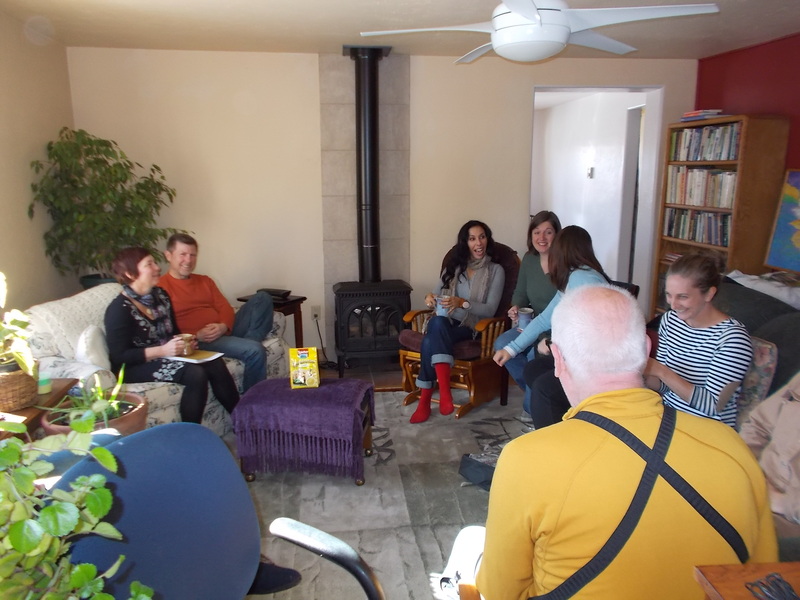 If you are not one of the many people who have found themselves in some sort of talk or gathering with gift economy as the topic, then read on to find out what all the buzz is about. In today’s consumer-driven, overly-monetized society (and yes, this is true even for the smallest communities), the financial system in which we find ourselves drives us toward separation. Even in a place where we know the name of nearly every person we pass on the street, the walls that still exist between us could not be more apparent. Do we really need to spend our time engaged in dramatic arguments about our differences from behind the veil of an electronic device? Does every household really need its very own lawn mower, food processor, and giant trampoline? What would happen if we decided to share most of the things that we infrequently utilize with our neighbors? Three things: 1. The current growth-addicted economy would fail; 2. Violence would decline or even disappear; and 3. We would all get to know each other better, care for each other more, and find satisfaction and purpose in our daily lives because we would be valued for who we are, not what we have. We would experience fulfillment because of the quality of our relationships, rather than the quality of our financial statements or our job titles. Ultimately, we would need less, and have more. What happened to the days, not so long ago, when it was common to walk next door to get a cup of sugar, a neighbor would bring a meal to an elderly couple and stay to talk, or the entire community came together for a barn-raising? Yes, these “random acts of kindness” still occur, but they have departed from the daily theater of life in the modern age and tend to only show up in times of extreme crisis. The occurrence of daily, neighborly generosity in our communities may seem like a thing of the past, but it is not lost. Gift circles aim to correct this modern dis-ease by almost instantly reversing the divisive effects of competitive economics and bringing people together as equal members of the same human family. Gift circles are open to everyone in a community regardless of their background, financial situation, skill set, spiritual beliefs, or otherwise. A common misunderstanding is that gift circles are for “poor people” and this could not be farther from the truth. While it is true that people who earn very little money could obviously benefit quite immediately from gaining access to resources that were previously unavailable to them due to financial circumstance, it has been proven by surveys all over world that people living in low-income areas have stronger community relationships. How could this be if having an abundance of money is touted as being able to make us happy and feel significant? It is because money itself has become the thing that separates us. Since money gives us the ability to buy anything we need, we no longer need each other. If I hire someone to mow my lawn and they do a poor job, I can simply fire them and pay someone else to do it. Its “just business” after all. But, what happens when we choose to offer some of our skills and resources as gifts, rather than for money? Does the person mowing the lawn still do a poor job if he is doing it out of generosity? Does the owner of the lawn still want to replace the worker even if he does a poor job, or does she offer him a glass of lemonade and express her gratitude for his efforts instead? Gift circles have the power to remove the barriers between people that are created by money so that we can come together as we are and share in our collective skills, resources, and more. Now the financially abundant person doesn’t have to worry about being judged or taken advantage of because they possess money, and the less financially empowered individual can feel abundant because their natural gifts, talents, and other contributions and not being valued in terms of dollars. Ask anyone on their death bed what they wished they had more of in their life, and the answer will not be money. Their answer will often be that they wished they had experienced more love, more joy, and had closer relationships with more people. 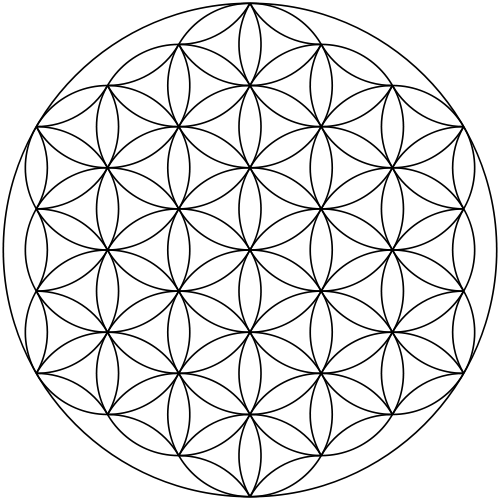 Developed by Alpha Lo, co-author of The Open Collaboration Encyclopedia, and now popular in communities all over the world, gift circles can occur at any time, in any place, and in any economic environment. Participants can meet at someone’s home or in a public space. Recent gift circles in the North Fork Valley have occurred at Studio Bija Yoga, KVNF, and the Paonia Library. The circles are open to all and free to attend. The ideal number of participants is 10 to 20 and gatherings last anywhere from 45 minutes to 2 hours depending on the size of the group. A volunteer facilitator usually begins the session and keeps everything flowing smoothly so that time and attention is spread evenly among the participants. The circle begins with one person saying their name and one or two needs that they have. Examples of needs might be a ride somewhere, helping finding a roommate, some local produce, computer help, and so on. Everyone takes turns until all participants have spent a minute or two saying their name and expressing their needs. Next, everyone goes around and offers something as a gift. This could be extra apples, a massage, help in the garden, use of a vehicle, someone to talk to, etc. Anyone at any time can interject by saying “hey, I can help you with that,” or, “I would love to receive that.” Once the round of offering gifts has finished, the circle goes around one more time by having everyone express something that they are grateful for. This could be something that has happened since the last circle, or anything from their life that they feel grateful for. Once this round has finished, the circle closes and people schedule times to meet and give or receive gifts that were offered. The gifts that are offered in these circles are not necessarily small. Since gift circles bring people together in community and inspire gratitude, monetary value has no relevance and “fair exchange” is not necessary because the gifts offered bear no conditions. Right here in the North Fork Valley, I have witnessed people offer everything from a free massage, to 50 pounds of tomatoes, free firewood, use of a bike, computer repair, a free house to live in, a job, a free car, yoga classes, help cleaning a house, garden soil and seeds, manual labor for 8 hours every week, a job at a private resort in the Bahamas, paid, with room, board, and travel included, and much, much more. All of this was offered by people in the community, free of charge or exchange, out of the kindness and generosity of their hearts, simply because they wanted to. When we come together with the people in our community, put our differences aside, say what we need, and offer what we have, money is no longer an obstacle in our lives and we find ourselves surrounded by family. When we start treating everyone like family, and we realize that there are no “others”, peace and fulfillment can once again become our normal state of being. From a place of gratitude, the judgment, violence, loneliness and poverty often generated by our modern society disappears, and we regain that connection to ourselves and each other that we have been longing for. Anyone interested in attending a gift circle in the North Fork Valley of Colorado can join the Facebook group called “Living in the Gift Paonia” or contact Studio Bija for more information. The Facebook group offers information about gift circles and other gatherings inspired by gift economics, as well as an abundant group of very generous people offering gifts of all kinds, expressing needs, gratitude, and inspiring information and articles intended to bring us all closer together. We need to need each other again. You are welcome.